The revolutionary NVIDIA Pascal™ architecture is purpose-built to be the engine of computers that learn, see and simulate our world - a world with infinite appetite for computing. 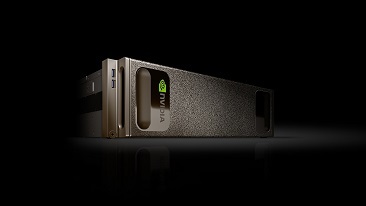 The first product based on the Pascal architecture is the NVIDIA Tesla™ P100 accelerator. 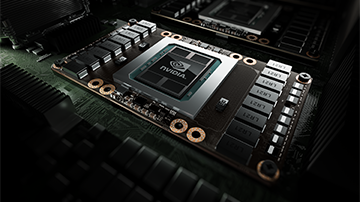 With an 18 billion transistor Pascal GPU, NVIDIA NVLINK™ high performance interconnect that greatly accelerates GPU peer-to-peer and GPU-to-CPU communications, and exceptional power efficiency based 16nm FinFET technology, the Tesla P100 is not only the most powerful, but also the most advanced GPU accelerator ever built. 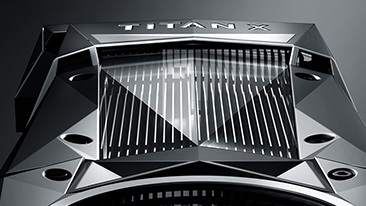 The NVIDIA TITAN X. Supercharge your desktop development system with the new NVIDIA TITAN X GPU. Powered by the world's most advanced GPU architecture, NVIDIA Pascal. 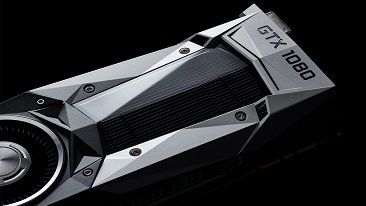 TITAN X delivers 11 TFLOPS of parallel computing performance and is packed with 3584 NVIDIA CUDA cores and 12GB of GDDR5X memory. 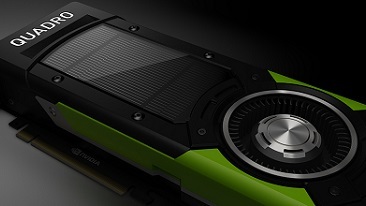 NVIDIA's most powerful GPU architecture ever, the new Quadro products, P6000 and P5000, bring a whole new level of performance and innovative capabilities to power visual computing on the desktop, in VR, or on-the-go. The NVIDIA GEFORCE GTX 1080 enables developers to experience the Pascal architecture's amazing performance and advance capabilities. For game and accelerated computing developers alike - the GeForce GTX 1080 is the weapon of choice for your desktop or workstation. Learn more about using GeForce for game development. The NVIDIA DGX-1™ is the world’s first purpose-built system for deep learning with fully integrated hardware and software that can be deployed quickly and easily. Its revolutionary performance significantly accelerates training time, making the NVIDIA DGX-1 the first AI supercomputer in a box. CUDA 8 gives developers direct access to powerful new Pascal features such as Unified Memory and lightening fast peer-to-peer communication using NVLink. Also included in this release is a new graph analytics library – nvGRAPH – which can be used for fraud detection, cyber security, and logistics analysis, expanding the application of GPU acceleration in the realm of big data analytics.